Now, to alter any existing list entry (e.g. 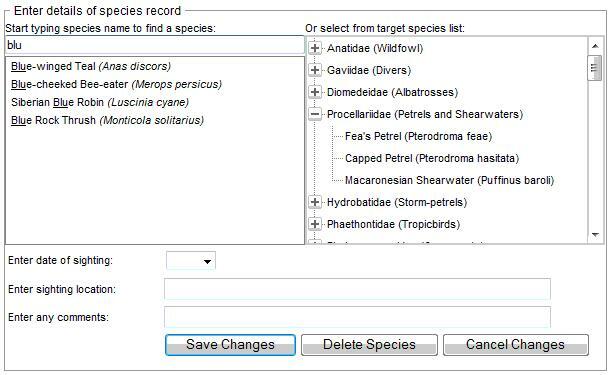 add a location, change a date, delete a species) simply click on that species within the list. You will then have the option of altering any of the details, or deleting the record from your list. The image below is an example of the edit screen. 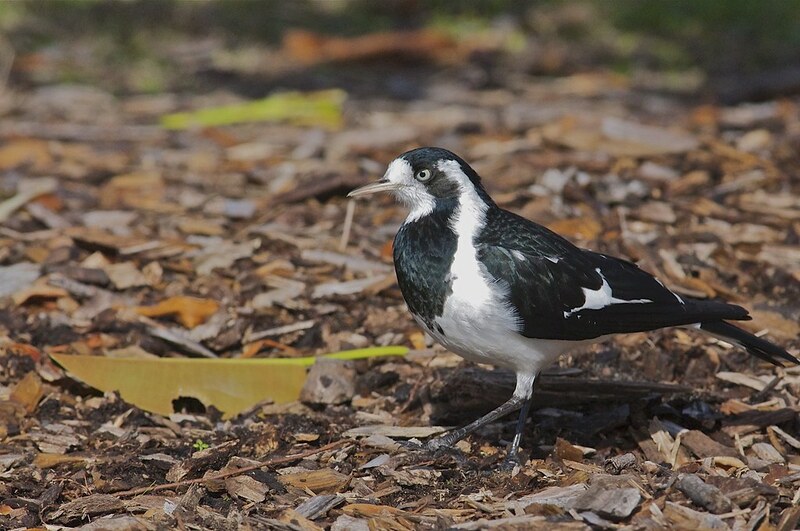 There are two methods of species selection available so that it is possible to select the species (which could be from an available list of about 10,000 species for a world list!) easily and quickly. The first method is to start typing part of the species name in the first box to see a list of matching species, from which you can select the required one. In the example shown above, the user has typed blu and four matching species have been found. The second method is to use the 'family tree': just click the + sign beside the required family to expand it and display all available species, then select the actual species required. Note that either method may take a few seconds for the matching species to be displayed if you are dealing with large species lists. Note that if you are editing a rare species, you must supply the date and location. To add a new species to an existing list, first click on 'Add Species to List' on the left-hand side of the screen. You will then get the chance to select the new species for the list (using the two methods for selection as described above), as well as to add a date, location and comments. Whilst dates and locations are optional (unless the species is rare), we would encourage as many to be entered as possible to enhance everyone's enjoyment of BUBO Listing. Sensitive records: you can define a new list addition as sensitive by ticking the relevant box - see the instructions on 'Creating a List' for further details. Select the 'Delete list' option from the menu. You will be presented with all your available lists. Select the list you wish to delete, and click the 'Delete list' button. You will be asked to confirm this operation. If confirmed, the list will be deleted from the system, together with all species that were recorded on it. It is not possible to undo this, so please be careful!